Archived Students of The Month! Cedric is a seventh grader at McReynolds Middle School. He is also a member of the FWEP Youth Leadership Council who shows up virtually every day and sincerely lends a hand whenever he can. He has never been afraid of hard work and his positive attitude is contagious. Joseph is a sophomore at Phillis Wheatley High School. He is a consistent presence in the program, displays a positive attitude always, and exhibits great potential in the fields of science and engineering. 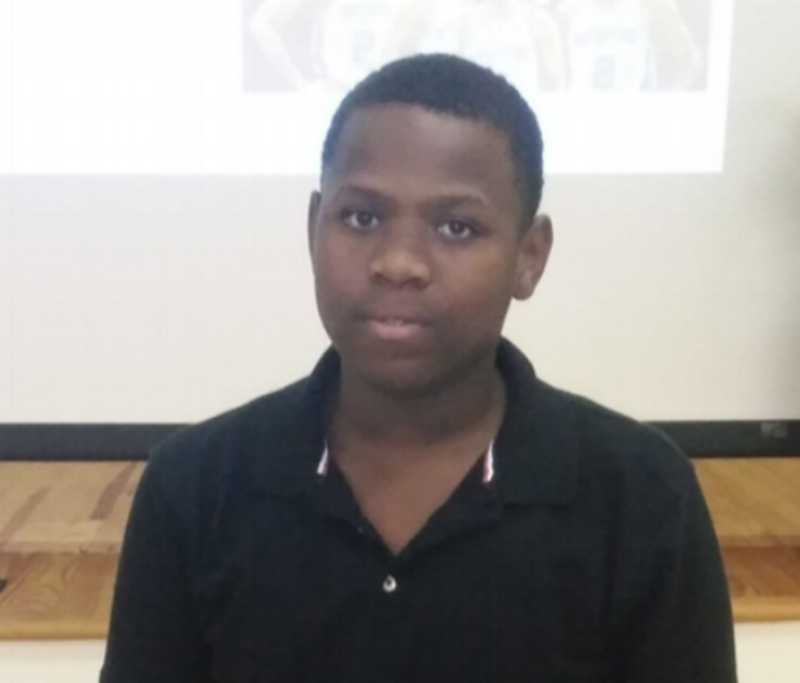 Kabeon is an 8th grader at Key Middle School. He has been faithful in attendance and participation, is serving as a first-time member of the Youth Leadership Council, and has shown significant growth in maturity over the past year while displaying resilience through adversity in his personal life. Fernando is an 8th grader at Fleming Middle School. Fernando has been on the ‘A’ and ‘B’ honor roll for the entire 2016-2017 academic year, has demonstrated leadership abilities along with a willingness to serve, and is also a passionate and determined competitor in football and basketball. Adalberto is an 8th grader at McReynolds Middle School. “Berto” has been a strong academic student for the 2016-17 school year. Berto is an honest, candid, and humble young man who takes initiative to help others, keeps his word, and takes correction well. He is a quiet leader who shows individuality and an ability to solve problems. As a star chess player, Adalberto represents Fifth Ward well in wherever he goes to compete. Cedric Johnson is an 8th grader at McReynolds Middle School. Cedric has not only persevered in the face of adversity, but has found ways to serve his community in the midst of personal challenges from Hurricane Harvey. He is always accountable and even helps to keep the adults on their toes as a helper in the snack store, a youth leadership council member, and outstanding citizen of the program. Cedric exemplifies the heart of what FWEP is all about. Justin Griffin is a senior at Kashmere High School who has shown a considerable amount of growth and exhibited strong leadership skills throughout the summer and current school year. His faithful participation and engaging personality have proven to be strengths for him and a benefit to the program as he shares his story with internal and external stakeholders. Justin is excited and eager to make a positive impact on the world upon his graduation in May. Anthony is currently an eighth grade student at Fleming MS. He has shown growth in many ways and displays a new level of maturity after having some troubles in the spring of 2017. He promised to return in the fall and this school year he has proven to be a man of his word. Not only has his academic performance been outstanding, he has also been a positive citizen and even shown initiative in taking on new challenges. Anthony was one of a few young men in the program who volunteered to recite an excerpt of Marva Collins’ Creed in impressive fashion at the Christmas family celebration. He continues to develop as a leader and the FWEP staff members are excited about the trajectory of this young man.